When you choose Chantilly Green Dental Care for your oral surgery needs in Fairfax, VA, it’s our goal to provide you with great, consistent treatment and treat you as if you’re one of our own family members. In fact, that’s one of the pillars of our practice philosophy. Our Fairfax dental practice offers a wide variety of oral surgery procedures, and our state-of-the-art equipment and facility allow us to perform our procedures efficiently, safely, and send you home with great results. If you’re nervous about your oral surgery appointment, please know that it’s our goal to dispel the traditional “dreaded visit to the dentist” notion. We have sedation dentistry options available, and even if you don’t choose sedation dentistry for your oral surgery appointment, we always practice dentistry at our Fairfax dental practice with a compassionate, gentle hand. Wisdom Teeth Extractions – Most people will need their wisdom teeth extracted at some point in their lives to prevent decay, gum inflammation, and damage to the neighboring teeth. When these wisdom teeth (or 3rd molars) are fully exposed, wisdom teeth extraction is fairly simple. 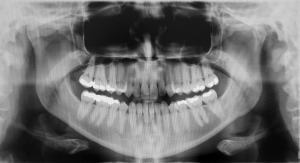 If wisdom teeth don’t fully erupt, oral surgery may be needed to remove the impacted teeth. Tooth Extraction – If you need a tooth extracted because of damage or decay, we can complete the full course of treatment in our office. Bone Ridge Augmentation – Ridge augmentation can be used to correct bone deformities in the jaw. Whether your bone defect is the result of injury, trauma, periodontal disease, or other reason, a ridge augmentation can be used to improve the appearance of your jaw and support other procedures such as dental implant placement. Sinus Lifting – A sinus lift is commonly performed in conjunction with a dental implant procedure, but has other applications too. This procedure is used to ensure a secure placement of dental implants when the floor of the sinus is too close to the location where the implant will be placed. Sinus lifts can also be performed if you’ve experienced bone damage or pathology such as tumors or cysts that have altered the shape of your sinus. Frenectomy – A frenectomy is a surgical procedure that removes or loosens muscle tissue connected to the lip, cheek, or floor of the mouth. Frenectomies are usually performed on younger patients whose speech, eating, drinking, or periodontal health is affected by an abnormally sized frenum. Oral Tissue Biopsy – During this oral surgery procedure, we extract tissue for laboratory analysis and test for abnormalities. Questions about our Oral Surgery Procedures? Need an Oral Surgery Appointment? If you have questions about our procedures or oral surgery in general, please feel free to contact us. Our Fairfax dental practice welcomes oral surgery appointments from new patients and referring doctors alike, so please feel free to also contact us if you would like to request an appointment.